NEW YORK--(BUSINESS WIRE)-- Peter J. Solomon Company (PJSC), aleading private investment banking firm, announced today that Bradford W. Weinberg, 39, and Mark A. Boidman, 37, have joined the firm's M&A Group, the former as a Managing Director specializing in the restaurant and food retail sectors; the latter as a Director in the firm's media, entertainment, communications and technology practice. "Celebrating our 25th year in business, we recently moved to larger headquarters, precisely to expand and reinforce our roster of experienced investment bankers," said Chairman Peter J. Solomon. "With Brad on the team, we intensify our sector coverage in restaurants and food retail," he continued. "Brad Weinberg and Mark Boidman bring considerable talent and excellent reputations to our firm," added PJSC's President Kenneth T. Berliner. "Mark will deepen our presence in the media sector with his expertise in out-of-home advertising, TV broadcasting and radio coverage," continued Mr. Berliner. "I am excited to join PJSC which has an excellent reputation as premier M&A advisors to clients in the retail/consumer sector. We share a commitment to long-term client relationships built on delivering sophisticated, independent advice and deep industry knowledge," stated Brad Weinberg. Prior to joining PJSC, Mr. Weinberg spent 6 years at UBS where he was a Managing Director in the global consumer products and retail investment banking group, serving earlier in similar roles at Lehman Brothers and Credit Suisse First Boston. During the course of his 16 year career, he has advised a wide array of notable branded companies in food retail and restaurants. A graduate of Emory University's Goizueta Business School, Mr. Weinberg received his B.A. in Business Administration with a concentration in Finance. Mr. Boidman joins PJSC from Barclays Capital (originally Lehman Brothers) where he served for 9 years, most recently in the firm's global M&A, technology, media and telecom group. He headed the firm's out-of-home advertising, TV broadcasting and radio coverage and was a member of the firm's defense/activist team. "I am delighted to be working with Rich Brail, Fred Seegal and Juan Mejia, building on their momentum in advising clients in the media, entertainment, communications and technology practice," commented Mr. Boidman. While at Lehman, he demonstrated his entrepreneurial skills by founding and successfully selling AntiOXinabox.com, an ecommerce company. 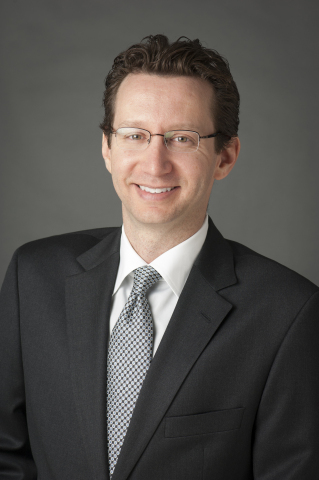 Prior to Lehman, he spent four years as an attorney in the M&A Group at Paul, Weiss Rifkind, Wharton & Garrison. A frequent speaker at industry events, including the Annual Daily DOOH/Digital Signage Investor Conference, Mr. Boidman received joint LL.B and B.C.L. degrees from the Faculty of Law at McGill University. Further inquiries may be directed to Managing Director Diane M. Coffey at: 212-508-1605; dcoffey@pjsolomon.com. You are also welcome to visit PJSC's website at www.pjsc.com. Peter J. Solomon Company (PJSC) is a leading independent investment banking firm headquartered in New York, City. Founded in 1989, the Firm provides owners, boards of directors, chief executives and senior management of public and private companies with strategic and financial advice. PJSC has successfully completed more than 500 strategic and financial advisory assignments in the form of mergers, acquisitions, divestitures, restructurings, recapitalizations, refinancings and fairness opinions. PJSC has also built a successful practice defending companies in proxy and take-over contests. The Firm's clients represent industry leaders in retail, apparel, wholesale and catalogue distribution; e-commerce; media, entertainment, communications and technology; health care, pharmaceuticals and life science; branded and unbranded consumer products and industrial products. The article Peter J. Solomon Company Adds Two Senior Bankers: Brad Weinberg & Mark Boidman originally appeared on Fool.com.